We are thrilled to announce that Westminster Savings has renewed its funding for ArtStarts at River Market into 2015 with a grant to support the monthly arts-based workshops. 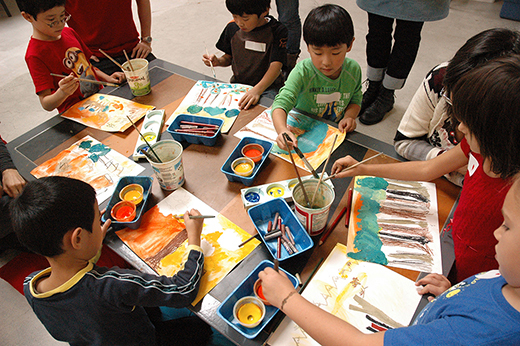 Each month at River Market at Westminster Quay in New Westminster, ArtStarts at River Market brings some of BC's best artists to lead 45-minute workshops for kids, which explore a wide range of cultures and artistic disciplines. Past sessions include tap dancing, feltmaking, human beatboxing, and Bhangra and more. We were happy to welcome Jodi Garwood, Foundation and Community Giving Manager at Westminster Savings, join us at our October event at River Market. Jodi enjoyed meeting members of the community and seeing the young artists eagerly working on their paintings. "Thanks to Westminster Savings' continued support, we are pleased to be able to offer free, accessible arts experiences for families in New Westminster," says Navida Nuraney, ArtStarts Executive Director. "Since we launched this initiative last year, the response to our monthly series of interdisciplinary arts workshops has been really positive. 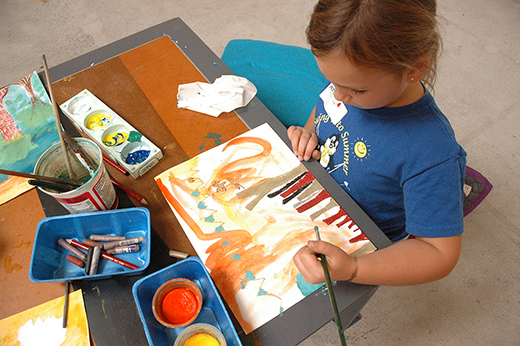 Seeing kids and parents exploring the arts and spending time being creative together is really powerful." "Westminster Savings is committed to increasing access to the arts in our communities by supporting programs like ArtStarts at River Market," says Gavin Toy, President and CEO, Westminster Savings. 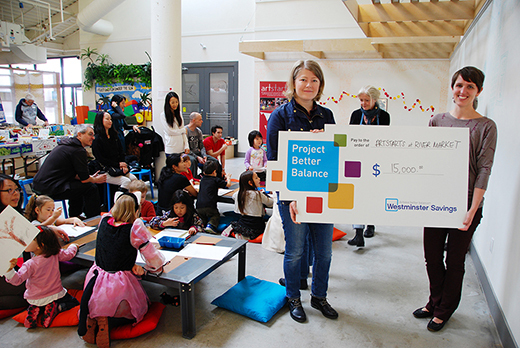 "Through these programs, we hope that many children in New Westminster will experience the benefits of participating in the arts, such as greater self-esteem, personal expression and growth, and enhanced creativity." A huge thank you to Westminster Savings from the staff, board, volunteers and artists at ArtStarts for their ongoing support of young people and families in the community!